Polycystic ovary syndrome (PCOS) is a common issue faced by many women face. It is mainly common in women of childbearing age and affects the way their ovaries work. It is caused by an imbalance in the reproductive hormones, this imbalance created is what causes problems in the ovaries. Although PCOS is not curable PCOS can be reversed but did you know there are ways to reverse PCOS all by yourself and naturally? Pre PCOS is the stage before PCOS is officially detected. It has the same symptoms as PCOS however, no cyst on the ovaries is detected during an ultra scan. Yin Yang balance is the underlying principle of Traditional Chinese Medicine. In TCM it is believed that PCOS is due to the imbalance between Yin and Yang. PCOS occurs as a result of Yang deficiency in Spleen and Kidney. As PCOS and Pre PCOS are conditions caused by the lack of Yang energy, consuming foods that provide Yang energy are beneficial to help reverse PCOS. Food with Yang energy includes red meat, fish, kale, tomatoes, carrots, tofu, black mushrooms, black fungus, ginger. Some fruits and nuts also contain yang energy these include strawberries, kiwis, oranges, goji berries, walnuts, sesame seeds. To help increase yang energy in your body is it best to reduce the consumption of cold food and salads. Making tea is simple and can be done all by yourself. All you need is the below ingredients. You can buy tea bags from any supermarket which have a high Yang energy level. We recommend teas such as wu loo tea, black tea and red tea. To increase your Yang energy it is best to avoid cold drinks. Regular Running, cycling, fast walking help increase your heart rate and make your body sweat. When your body sweats it removes cold, cold dampness from inside your body helping you increase your Yang energy. Increasing the Yang every helps you reverse PCOS. This method only works if you workout enough for your body to produce sweat. The key to increasing your Yang energy lies in your body losing the sweat. Your feet are close to the earth 60% of the time, the temperature difference can easily be passed from the earth to the feet. In this case, the temperature is the Yang energy. 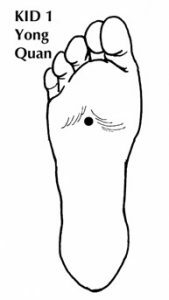 So, if your feet lose Yang energy this will be passed on throughout the body, this, in turn, affects the spleen and kidney yang level. Because of this, it is very important to keep your feet warm to help reverse PCOS. Soak your feet in a bowl of hot water 15 – 30 minutes before going to be. To help increase the effectiveness you can also add some herbal ingredients such as ‘ Ai, Hong Hua’ or ‘ Gui Zi’ in the bowl of hot water. Wear warm socks if possible. Place a hot water bottle or heat patch on your ovarian and reproductive organ areas such as Shen Jue points, Zhi Gong Points, Qi Hai points, Guang Yuang Points. Use the heat patch for 15 – 30 minutes each time and use as often as you can. These 5 simple ways can help you rever PCOS all by yourself at home and naturally. 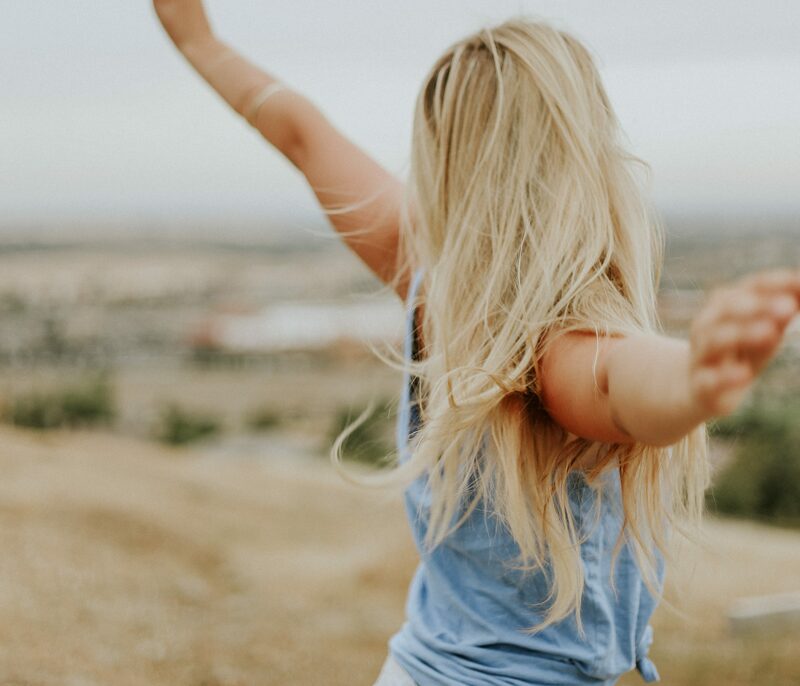 These methods will help balance out your hormones as well as help your wellbeing. Woman’s Life Power provides special nutrition for Eggs health. It promotes hormone balance, helps with high FSH levels, low AMH levels, Egg quality and quantity. This 100% food-based supplements also works to remedy irregular periods, irregular ovulation and promotes natural conception. 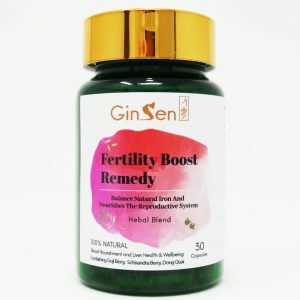 Fertility Boost Remedy improves Yin and Blood, helps with any underlying infertility issues, it aims to regulate the menstrual cycle, ovulation and periods. Boost the performance of fertility organs increasing your chances of conceiving naturally.